Molecular targeting is the foundation of current cancer therapies. Although much more progress is to be made, overall survival rates have improved in a variety of cancers. 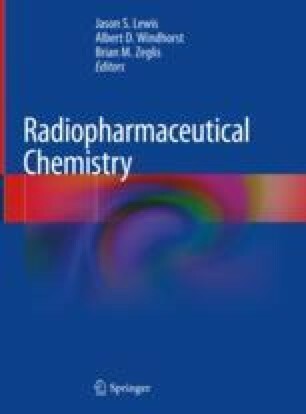 Imaging is central to the assessment of those therapies, and the clinical use of nuclear imaging technologies—specifically positron emission tomography (PET) and single photon emission computed tomography (SPECT)—continues to grow. The functional information provided by nuclear imaging enables us to diagnose, stage, and monitor tumor response to therapy. There also has been tremendous growth in radiosynthetic methods, the development of radiotracers, and the number of radiotracers evaluated in humans. The clinical utility of a radiopharmaceutical is ultimately determined by its ability to quantify target expression and provide high-contrast images with specificity and sensitivity. In light of this, the robust validation of radiotracers is essential and requires the use of both in vitro and in vivo model systems that can capture the heterogeneity and genetic complexity of tumors. Along these lines, some of the most important challenges include modeling the interactions between the tumor and the host immune system, faithfully representing human tumor genetic diversity, mimicking drug resistance, predicting the in vivo behavior of imaging agents, and appreciating interspecies differences. This chapter addresses these difficulties and the tools needed to evaluate radiotracers in the right model system. We gratefully acknowledge support from Allegheny Health Network-Johns Hopkins Cancer Research Fund, NIH R01CA166131, NIH R01CA236616, DoD W81XWH-16-1-0323, NIH R01 CA134675, NIH P30 CA006973, and NIH P41EB024495.